Meet the newest member of the T-Shirt Gun family, The Vortex. 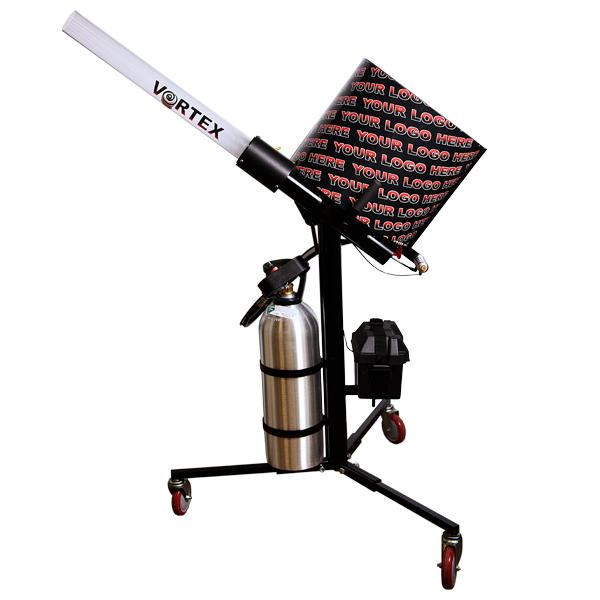 The Vortex is a multi-shot rapid fire stress ball launcher sure to shake up events all over the world. The Vortex is capable of a wide range of distances from a close 50 feet to an amazing 200 feet. This is achieved though a ground breaking technology called Realtime Velocity Control or (RVC for short) that is exclusively available on the Vortex. It makes delivering the stress balls to different parts of the arena as easy as pulling a lever. This Multi Shot Stress Ball air cannon also has a variable rate of fire from 1 to 20 foam stress balls per second. By using safe foam stress balls it not only makes for an impressive site but also one that is cost effective as well. On average the stress balls can be custom imprinted with your logo for under a dollar per item when ordered in bulk quantities. Sponsors love that! 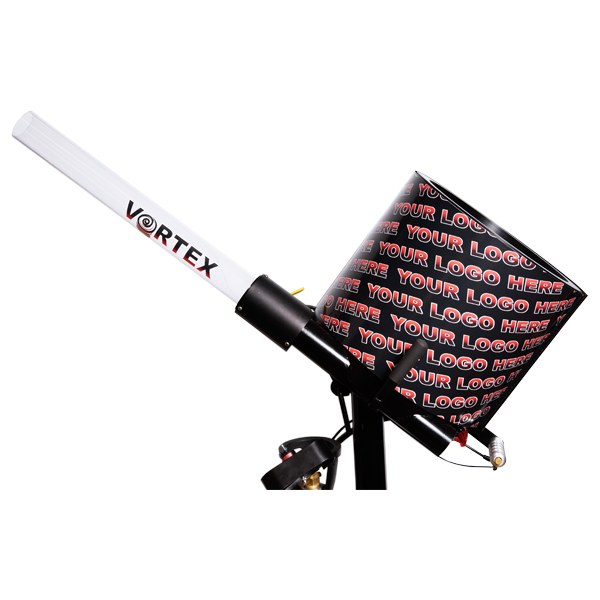 And speaking of sponsors the Vortex Stress Ball Cannon has the optional addition of a custom printed logo wrap that all the audience will see giving maximum exposure for yours or your sponsors brand. 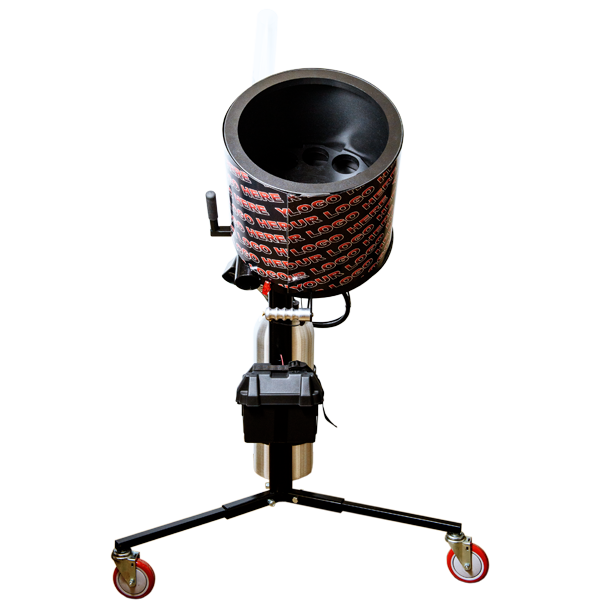 This air cannon is truly something completely new with a wide range of uses. 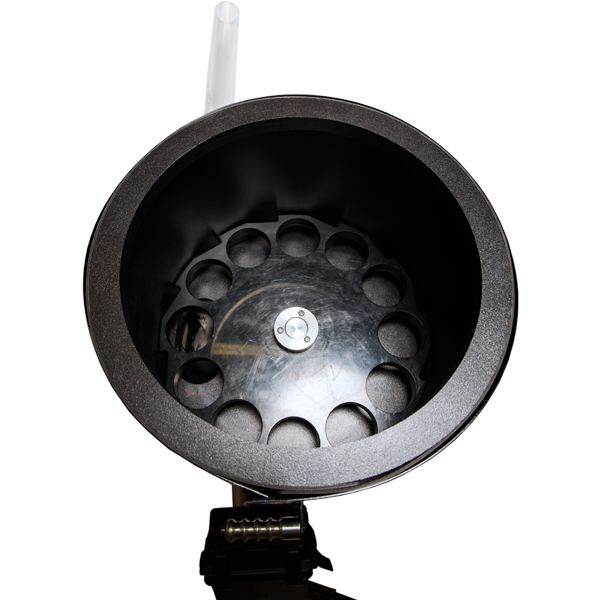 With its variable rate of fire and customizable range it is perfect for any venue size and any event from concerts, sporting events, and festivals. If you are looking for a new way to market to your audience that is both exciting and effective look no further. If you are interested in hearing more about the Vortex Multi Stress Ball Cannon please call one o four sales associates today. We are glad to help you in choosing the best options for you and aid in the customization of your cannon. We look forward to hearing form you!